My name is Eli and I am a 30 year old child. At least that is how this dependence (I have on benzo's and Suboxone) makes me feel. I also take a generic form of Lexapro for my anxiety and depression. Though the time I was prescribed and diagnosed was so long ago I honestly wonder how I would do without. In the span of a decade, I have been to jail once and from there entered into a detox probation program for a year to get off of Xanax, my first addiction. I went to three different detox clinics, one of them out of pocket and emptied my savings account to take my life back. I once went a full MISERABLE year of sobriety. For at that time, anxiety controlled my life. I had a bad bad bout with opiates. Roxies or blues. I don't think they are around anymore but they are just a few notches under oxy. I shot up twice but did not enjoy it amazingly. Skipping around a lot here to get to where I am now as a 30 year old man. I have been taking benzo's for nearly 10 years straight and the Suboxone was meant to get me clean off the opiates because that was my rock bottom. At first it was my miracle drug. No sickness and I felt normal again. I know it's something not meant to be taken long term, but for whatever reason I feel stuck. When I try to taper off either the sub or the clozapam I get sick, irritable, sweaty and my mind feels like it's spinning out of control. On top of all this I drink way more than I let on to my family. And boy can I drink. I can take a handle of rum and within a 2 night span if not one long night will have polished it off myself. I drink sometimes out of boredom or even worse, to make it so I feel I don't have to take my medication. I'm ok with the anti-depressant even though I wish I could be all clean but the all things considered....I am killing myself very slowly. My doctor does not give me enough and he is expensive and does not accept insurance AND I have to buy any benzo or sub I can find just so I can make it through my day to day until that next appointment. This has held me back to the point where sometimes I am pretty much living check to check. When I take the time to think about it I get angry and drink. I'll even think of dying but never think of acting it out. I feel like a burden to my family. I do pay my rent but sometimes I don't have enough and sometimes I do. I know that if I keep at this the way I am going that I will probably consider killing myself in the future or becoming homeless (which I did try and did not enjoy). I have built my own prison and all of this has also destroyed every relationship I have had with a woman as of late. I never speak of this side of me to anyone. Perhaps a very small amount of people. I used to go to AA/NA but have not in years. Something has got to give......I cannot afford to go off to some detox center again due to cost and my recent and FIRST full time job with benefits. I am surrounded by awesome friends that love to party and we all still act like a bunch of kids but the dark secret weighs heavy on my heart and I stress out every day. On a daily basis I focus on how many tiny pieces of clozapam or suboxone I can use so I can ration it. This is not living......it's barely surviving. Thank you for your time. Any replies are so very welcome. You do have options but you have to be open to them. Yours is a sad but all to common story. Addiction attacks the brain and CONVINCES us that our only option is to use. You have MANY options but your addiction is blocking you from seeing them. Addiction causes us to have extremely black and white thinking and shuts off our ability to see anything positive or to understand all possible steps to get into recovery. That's why we feel trapped with no good choices, when in reality we have many good solutions if we become willing to pursue them. Because you're both drug and alcohol addicted you must attack both of these issues together to move into recovery. If you only address one then the other will cause you to relapse. I recommend that you go to your local hospital ER for an assessment. Tell them your circumstance and ask them to help you to get the resources you need to detox to the drugs and alcohol safely. Then consider going into the Salvation Army addiction program in Florida. It's a wonderful free program that will teach you everything need to end your addiction. In many ways you are telling me things I know but need to hear. I have not sought fellowship support such as NA which I NEED but if I were to detox I don't think I have the time because my new full time job is very strict on making your full time hours and for the first time in many years I have insurance but the ironic catch is I can't put it to use for the real purpose I have in mind. I have a primary care doctor again which I've not had since I was 18(remember I am 30) and a "Suboxone specialist" who doesn't take insurance and never gives me enough for me to get through a month so I must spend more money on the streets. I hate this situation and I hope to be free of it before it takes me out. This life for the past decade has taken so many years from my life due to stress. I'm pretty sure I have more white hair than I should as a 30 year old with a baby face. I am desperate. Both to get free or keep my family in the dark so they think I'm ok. I know I can't keep the charade up. I have been taking suboxone for 9 yrs now. I have severe scoliosis, spondylithosos, spinal stenosis, ddd, etc. I am a recovering addict. I have also abused benzos. When my dad had a stroke during heart surgery and came to live with us, benzos are what i relapsed on after 3 yrs of sobriety. Watching my dad slowly die day by day was awful and i began having constant, severe panic attacks. Taking benzos with suboxone is contra-indicated. I bought them off the street. I tried to kill myself July of 2011. Soon after i put myself in detox. I lived in severe pain for 6 months until it got so bad i ended up in the ER where they shot me up full of dilaudid. I went back on the suboxone because it's safer than any other opiate. I will always be on pain medication. They use it now in many pain clinics. Just because I'm an addict shouldn't mean i have to suffer in pain the rest of my life. I am on suboxone for life or until something better comes along. The price is ridiculous. This medication saved my life. I have been sober for 4 yrs. I don't care what other recovering people think. I may take suboxone for my pain but i consider myself sober. I am also bipolar. I have to take medication. Some people like to get all uppity and say if you take anything your not sober. That's bullsh**. You gotta want sobriety more than anything else. Never give up. 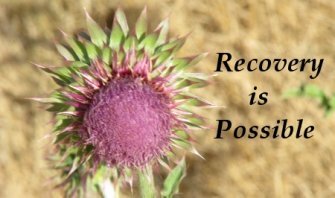 There is hope for your seemingly impossible situation. Here are two stories about people who have come out of hopeless situations. Your life is for a purpose, you are precious and you have a purpose. You are worth it. My stepsons story is similar to yours except about a year ago when he couldn't get subs he went to shooting up heroin he has over dosed twice. His arms are disgusting and he had an argument at one of his friends house's and to make a long story short he is in jail. After 2 weeks in jail he was finally thinking rationally and he choose 6 months in rehab over 4 months in jail. All I know is that he will be alive for 6 more months. After that his life is in his hands and if he chooses drugs again then I won't allow him to darken my doorstep again. Way to many sleepless nights and being scared about answering the phone saying he's dead! Thanks for sharing good luck kiddo with love Starr. Hello my name is Nick and I am the exact same as you except I stopped my drinking a few years ago and switched to blues or Roxie's and was taking Xanax ALL THE TIME I'm currently addicted to subs and Xanax. I ration live till my next appointment as well it is horrible I feel your pain so dam much I thought I was seeing myself. Own thoughts written down hit me back I would like to chat this is horrible man if it's not the subs I'm sweating pulsing headaches from the alpraZ it's a living nightmare!